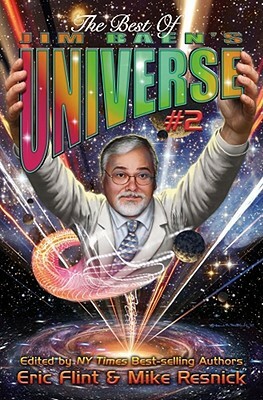 The online magazine, Jim Baen's Universe, now in its second successful year, and fans of science fiction and fantasy agree that it's the place on the internet to find great reading by both top-selling established writers and talented new arrivals. Once again, site editor Eric Flint, creator of the New York Times best-selling "Ring of Fire" series, picks the cream of the crop from stories that have appeared in the magazine. Flint himself, with his frequent collaborator Dave Freer, return to their popular series that began with Rats, Bats & Vats in a story set on a hollow asteroid which is under siege by the alien enemy. Someone is killing women of the oldest profession. Captain Rebecca Wuollet has been given the job of catching the killer and, to do it, she'll need the help of a pair of rats who have been artificially given human-level intelligence. Mike Resnick, Hugo-winner and New York Times best-selling author, tells what happens when a pro basketball team gets the best player that money can buy--or that science can manufacture. Hugo Award and World Fantasy Award winner Kristine Kathryn Rusch takes us to World War II Paris, where a child of faerie finds a way to survive the Nazi occupation. Hugo and Nebula winner Nancy Kress looks at the aftermath of World War III, and the aliens who have arrived, but not to help the human survivors--they're only interested in Man's Best Friend. Also on board: Award-winning writer Elizabeth Bear; another award-winner and New York Times best-selling writer, Garth Nix; a third award-winner, Laura Resnick; and much more in a generous serving of the best SF and fantasy being written today.